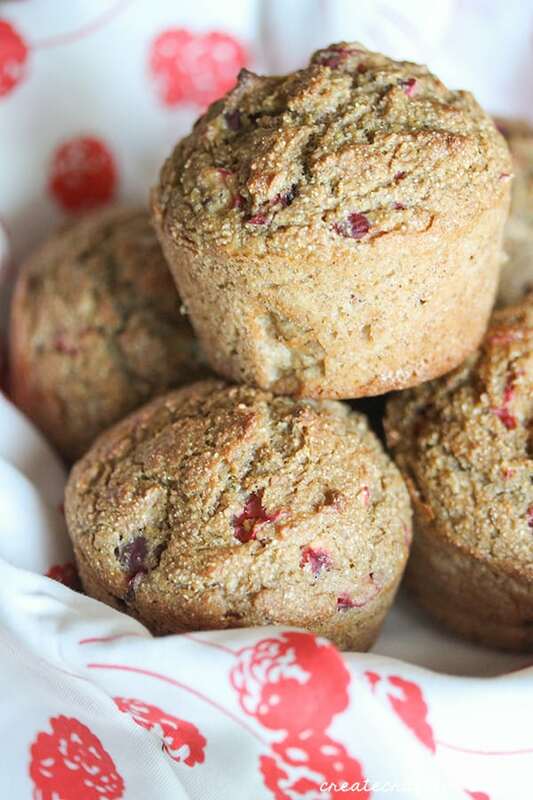 Fresh cranberries arrived at our local store this week so it’s officially time to break out the autumn recipes. I find most berry recipes a little sweet for my tastes, but the crisp tart flavor of cranberries is a perfect complement to the sweeter fare found this time of year. 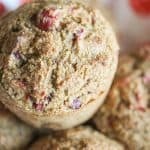 Cranberry compote on waffles is a favorite breakfast of mine, so I thought I would try making a hearty cranberry breakfast muffin. This also gives me the opportunity to try out our new Flexipan Muffin Tray. 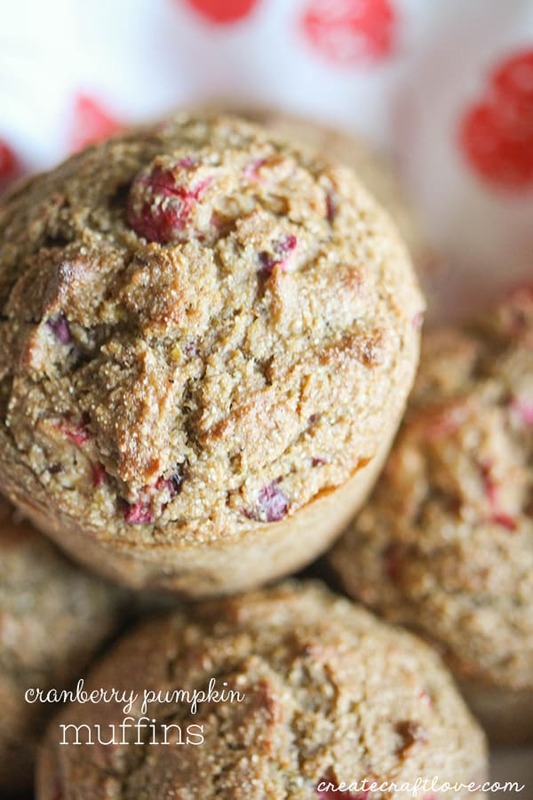 These Cranberry Pumpkin Muffins are a great make ahead breakfast for fall! 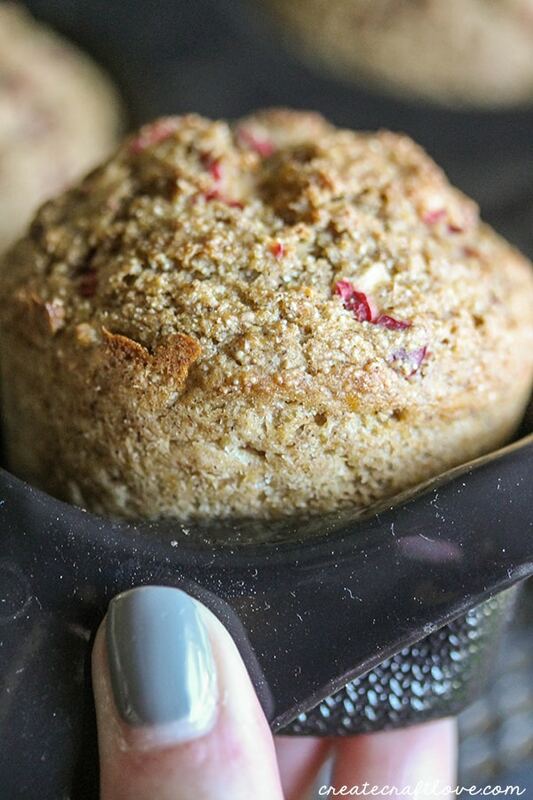 These muffins turned out perfectly in our new muffin tray! 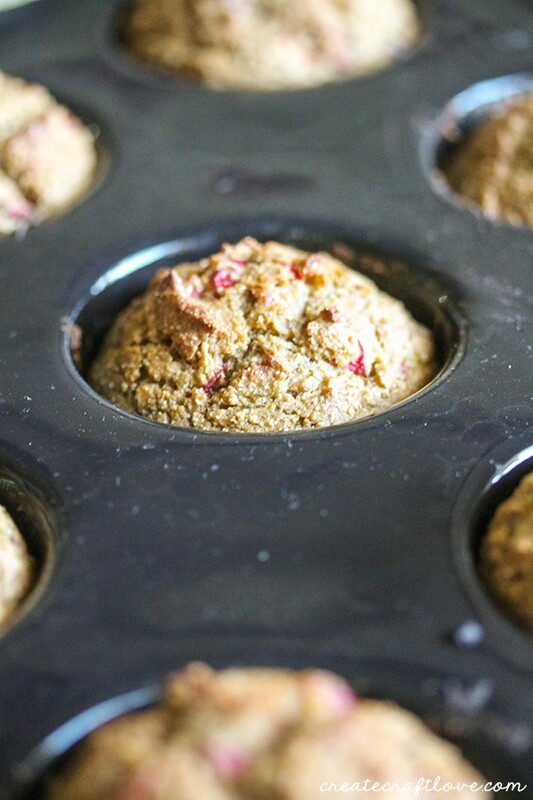 The Flexipan Muffin Tray is completely non-stick which means easy clean up for you! No need to spray, grease or flour before adding the batter. Once your food has cooled 10-15 minutes, they will fall out without sticking to the pan! It’s like magic! The Flexipan Muffin Tray works best with the perforated baking sheet. This allows for even airflow to maximize your baking conditions. In a medium mixing bowl combine the dry ingredients and mix thoroughly. In another bowl add the buttermilk, pumpkin puree, and vanilla extract. Whisk until even. Beat in 2 eggs one at a time until even. Slowly beat the dry ingredients into the mixture. You don’t want to overdo it here, and a lumpy batter is perfectly acceptable. Place the Flexipan® muffin tray on a medium perforated baking sheet. Do not spray, grease, or add paper liners. The Flexipan® is designed to be completely non-stick and once the tray has cooled, the muffins fall right out. Evenly add batter to each depression. Keeping the tray on the perforated baking sheet, place in oven and bake for 25 minutes. Carefully invert the Flexipan® and the muffins should slide right out. The Flexipan Muffin Tray and perforated baking sheet are the perfect Christmas gift for the baker on your list! In a medium mixing bowl, combine the dry ingredients and mix thoroughly. Beat in 2 eggs - one at a time until even. Slowly beat the dry ingredients into the mixture. You don't want to overdo it here, and a lumpy batter is perfectly acceptable. Add muffin liners to muffin pan. Evenly add batter to each depression. Click HERE to see more amazing recipes! I received free product for the purpose of this post. All opinions are 100% my own. You can read my full disclosure here.